I am not a breakfast person in the traditional sense of the word. My first meal of the day is anywhere between 1 and 3 pm and normally includes some wine no eggs, toast, biscuits, or any of the traditional breakfast meats. So when I woke up early today, and an empty fridge graced my kitchen, I started thinking about food of the breakfast variety. There are very few choices in my area except every chain imaginable, which is never choice for me. 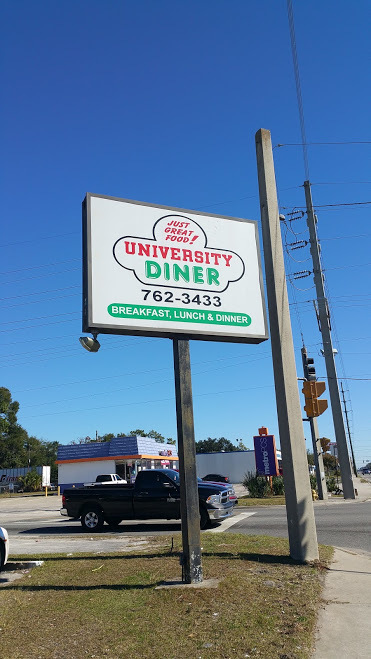 Then I remembered the University Diner, about 5 miles from my house. I have lived in or around the Arlington area for a very long time, and never thought about going in this spot, so why today? Lazy I guess. Upon entrance I was most pleased and surprised. I don’t know what I was expecting but it was not this. 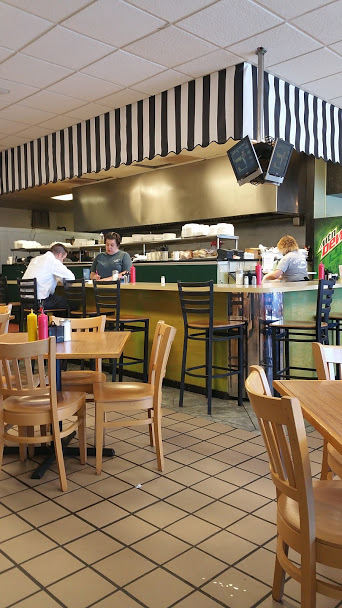 Large bright interior, booths, tables and counter service, a mix of patrons, old I mean really old, I spoke to a woman who just turned 94, young people from the college not far from this spot, blue and white collar workers all there on a basic quest; food. 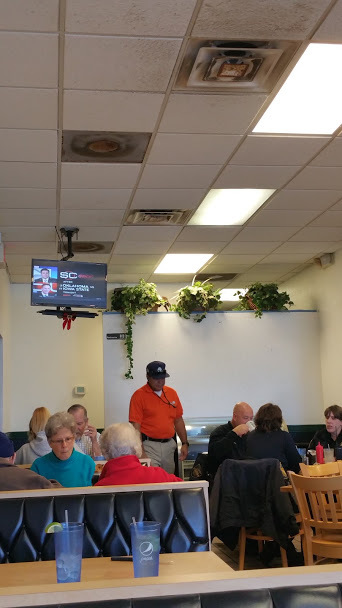 I settled in with a menu and glass of Pepsi, There are some nice selections, from of egg and meat dishes to waffles, burritos, french toast and skillets. 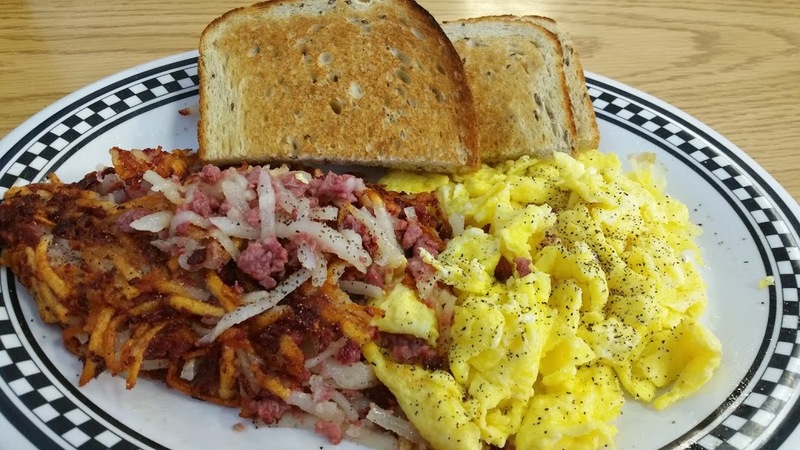 I chose to go basic; Corned Beef hash with potatoes, scrambled, rye toast and a side of cheese grits. While I waited I looked over the menu to check out the lunch/dinner offerings. 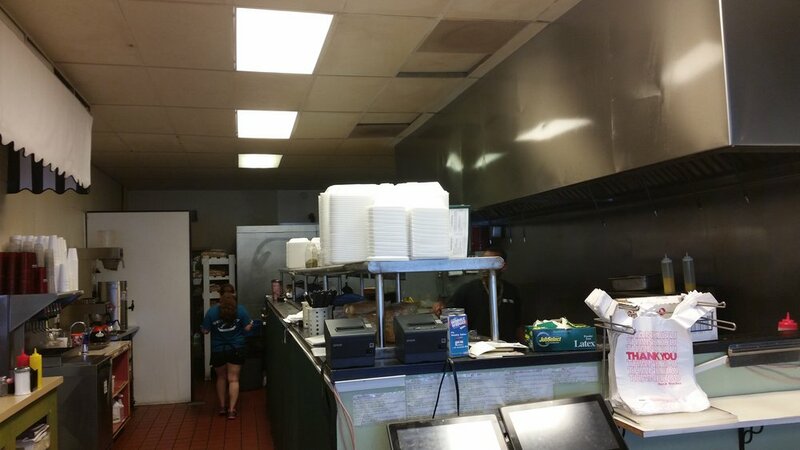 Quite robust, full dinners, hot and cold sandwiches, salads and burgers. When the food arrived it was another plus moment, crispy potatoes mixed with the corned beef, egg as I requested toast still warm and pre buttered and a side of cheese grits. So lets deconstruct the dish; the potatoes the usual shaved veriety combined with made in house corned beef hash then cooked on the grill. This is some of the best tasting corned beef I have tasted in this town. A basic comfort food, that was served as leftovers in my mother’s house every Thursday for as long as I remembered. Eggs sunny, fluffy and still moist, the toast pre buttered and warm. I know this is a 1st world issue but when my toast appears and I have ice cold butter served on the side it is just wrong. I was more than happy with the dish for $6.95. 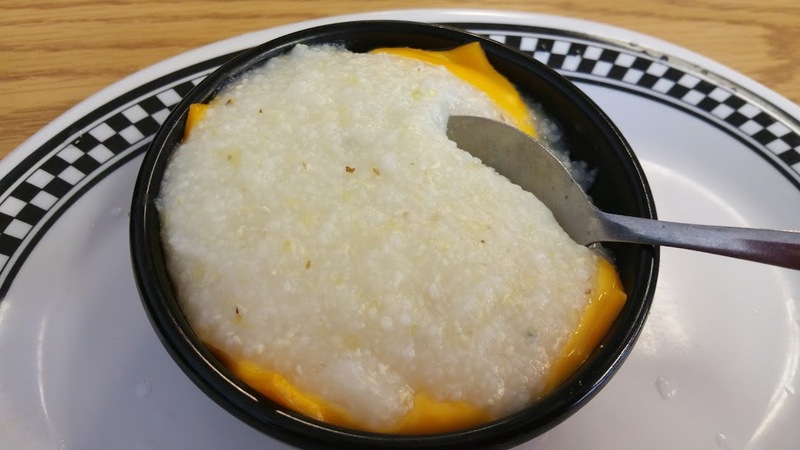 I was a little suspicious about the grits, not appealing in any way, I had to remind myself this is diner food. Looks like one slice of Kraft American and a big spoon full of grits, tasted like warm comfort, smooth just a tad lacking on salt. The beauty of grits, once the cheese, salt and pepper are stirred in it’s all good if the grits are good and these were. Note to self: next time you order grits have them add bacon!!! So the verdict, I should eat more early breakfast at this spot. I truly recommend it for a weekend family breakfast outing or a quick bite mid afternoon. Prices are reasonable and the food truly wonderful. They do serve breakfast all day and close at 2:30. Do it! Nice touch with the dirty a/c vents. Yum. The price one pays, for eating in restaurants. LOL.